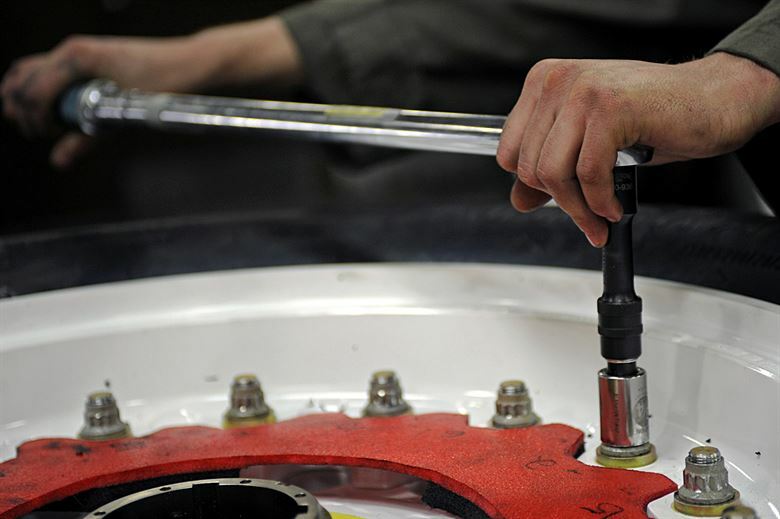 The purpose of a torque wrench is to tighten a nut or bolt to a specified manufacturer torque value. This prevents the risk of cracking or failure as you are not relying on your own guesswork when tightening a nut or bolt. The best torque wrench is the TEKTON 24335 1/2″ Drive, which provides +/- 4% accuracy and uses a reversible ratcheting head for additional usability. From using a torque wrench for lug nuts to tightening the spark plugs, the correct torque value is very important. Both under and over torqued bolts can cause issues and can cause costly repairs if the nut or bolt were to fail. Using a standard wrench and over torquing your bolts can end up with the lugs becoming stripped and potentially warping the brake rotors. There is more stress on the lugs than usual which could even cause them to snap and your wheel falling off. The alternative to the above, which is under torquing is more common and can result in the wheel falling off. For those that use a cordless impact wrench for automotive use may under torque due to their max torque rating. Following the manufacturer torque values will reduce the risk of any components failing. Below is a list of the best torque wrenches that can be used for a range of applications from lug nuts, spark plugs and much more. TEKTON are one of the biggest manufacturers of garage equipment for mechanics and their 24335 Click Torque Wrench is one of the most popular on the market. It comes with a reversible ratchet head to drive the bolt in both directions, which is very desirable when it comes to working on cars. As it is a click wrench, once you have hit the preset setting, the click sound will be emitted, which is the best method of tightening a bolt. Without a noise, you are constantly checking the meter, which may not even be visible. Overall, the Tekton 24335 is the best torque wrench for the money and is virtually unbreakable with the all steel construction. Tekton have a variety of other types of torque wrenches that are equally as good as the 24335 model. For those that want to add some technology to their garage equipment, the ACDelco ARM601-4 is a great option. It is a digital torque wrench that uses a LCD digital screen to display the amount of torque, which can be between 4 and 99 feet pounds. Overall, the ACDelcoe ARM601-4 is the best digital torque wrench and is much cheaper than the competition with a similar functionality. As it is battery powered, it is far more durable than those with built in charging ports. CDI are a premium brand and their torque wrenches are by far the most expensive available. However, they are built to be the most high quality available that you can purchase online and are known to be the most accurate. Overall, the CDI 1003LDFNSS is a great option for mechanics that use a torque wrench on a daily basis. Although it is expensive, its worth spending the extra for the build quality and accuracy. 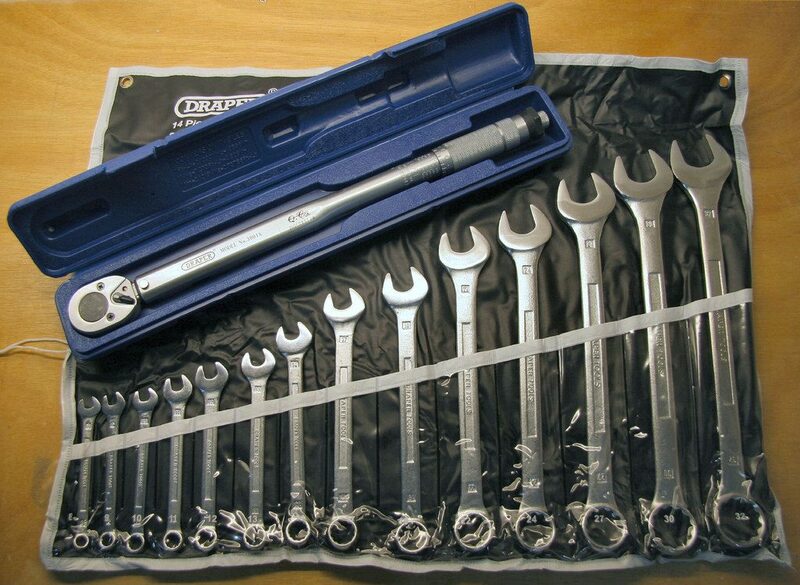 CDI also provide the largest range of different torque wrenches too for those that require a complete set. The Precision Instruments PREC3FR250F Silver 1/2″ Drive Split Beam Torque Wrench is another fairly expensive torque wrench. However, this model is made from nickel and is finished in an attractive chrome. The Flex Head is perfect for changing the angle of removing your wheel lug nuts without hitting your knuckles on the wheels. Precision Instruments always produce top of the range garage equipment and the torque wrench is no different. Gorilla Automotive are known for having the locking wheel nuts but they also produce a range of tools such as this budget torque wrench. It is perfect for removing those lug nuts with around 50 to 250 feet pounds torque range. Overall, the Gorilla Automotive TW705 is a great all rounder and unlike the TEKTON alternative above, this model includes an anti-slip grip for additional usability. Investing into a quality torque wrench is highly recommended as you are more than likely going to own it for many years to come. Their lifespan is very long due to the build quality and their usage. They are used to tighten a nut or bolt to a pre-set torque value in order to prevent cracking or failure of the bolt. Torque wrenches come in a range of different types that suit various applications, as shown in detail below. The variation of torque wrenches have changed greatly over the years. Many people choose upon their personal preference and the click torque wrench is the most common due to simplicity and cost. Below are the three most common forms of torque wrenches. In terms of accuracy and repetitive use, the click type is the best torque wrench to buy. Simply preset the torque and tighten a bolt. Upon reaching the torque level, the mechanism will slip and click at the same time. It is excellent at reaching perfect accuracy and is low cost. It is the simplest to use as all you need to do is tighten a bolt and wait for a click. The beam wrench is very similar to how a weighing scale works. The head and the handle of the wrench are separated by a lever arm. A scale also moves when pressure is applied so that you can view the torque whilst tightening. It is not used as much as the click because its hard to read the torque whilst you are tightening a bolt as well as visibility may be poor and you might not be able to see it. The digital torque wrench use an LCD/LED screen to indicate when the torque has been reached. Some even come with memory cards to store information regarding the torque that you have set. The dial type of torque wrench has a simple dial that display the amount of torque that is being applied. Once you have reached the torque value, you simply disengage the wrench. The main drawback of this type of wrench is that you need to stare at the dial constantly, which can be quite inconvenient in certain applications. 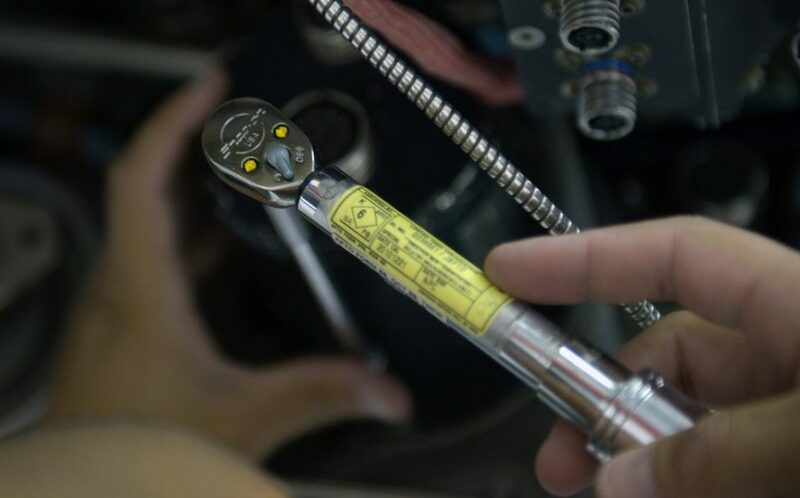 The main purpose of a torque wrench is to tighten a bolt to a certain torque setting. You simply cannot do this with a normal wrench and most of the time it is a guessing game that results in over or under torquing the bolt. Ensure Torque Wrench Is Calibrated. Purchase the best torque wrench for lug bolts that is already calibrated correctly. All the ones mentioned above are calibrated and ready for use. Research Torque Setting For Your Bolts. Find the foot-pounds torque setting required for your specific vehicle and bolts. For example, on my Mercedes wheels in the picture above, 100 foot pounds of torque was used. Ensure Bolts Are Functioning. Many people will use broken or stripped thread bolts in their wheels which will not torque correctly. Check before placing them in your wheels. Tighten Until You Hear A Click. Using a click torque wrench, tighten the bolts until you hear a click, which indicates the max torque you have set. Check Torque After 100 Miles. As a safety precaution, always recheck the torque setting after 100 miles in case of movement within the bolts. Of course, the use of a torque wrench can be used for a range of applications but the most important thing is to use the correct torque setting. This can be found in the vehicles documentation or various online resources. If you are struggling to find the correct torque rating for your lug nuts, Continental have a complete list of values that you can use as a guide. All torque wrenches no matter the price you pay will require recalibrating and some point. That being said, the premium wrenches do tend to hold their calibrated settings far longer than the budget alternatives. RSal state that after 2,500 to 3,000 repetitions, it may be time to recalibrate the torque wrench. However, it will be fairly hard to count each and every one of the repetitions after each use. Many professional mechanics would state that if the accuracy goes beyond 5%, it would be recommended that you get it recalibrated. After all, using a faulty torque wrench defeats the objective of using it in the first place. 3/4 inch drive – The largest sizes that are suitable for task involving max torque. Owning multiple torque wrenches is highly recommended and ensures you are able to move the wrench freely with adequate torque. The torque wrench can be used for many different applications and not just tightening wheel lugs. It is a ratchet with a handle but with the addition of torque settings. After snapping one of my wheel locks, I have always since used a torque wrench for tightening lug nuts. When working on cars, matching the torque wrench with the recommended socket sets, enables you to have the perfect mechanics setup. All of our recommendations cover all the different types of torque wrenches and offer excellent value for money. Investing into a quality wrench ensures you are able to correct set the correct torque value for the nuts or bolt.